Known as ‘the team behind the team’, the English Institute of Sport (EIS) helps athletes to improve performance through science, medicine, technology and engineering. Following the recent Paralympic games in PyeongChang, we caught up with EIS’ Biomechanics Project Lead, Catherine Shin. Discover how Xsens motion tracking contributed to assessment and classification for one of the most far-reaching, respected sporting events on international scale. 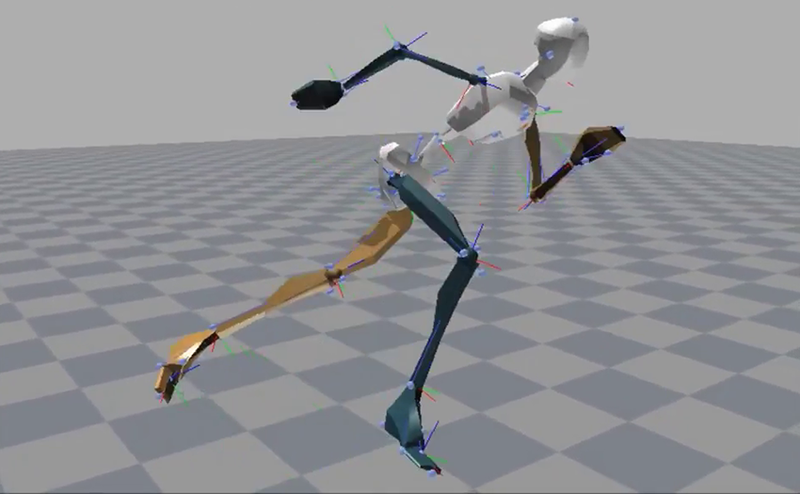 What role does motion capture play in the biomechanics industry? And how do athletes benefit? The EIS support the British Olympic high performance system across 38 Olympic and Paralympic sports. As biomechanists, everything we do is aimed at understanding and improving movement related to performance and reducing injury occurrence. Our ability to gather objective data allows us to investigate individual athlete signatures and the variation within them. For example, we may see a numerical shift after an athlete changes equipment set-up, or after periods of specified training. This gives us an additional layer of performance insight that’s very powerful for the athletes, coaches and practitioners we work with. Biofeedback can also be used as a training tool – instant data visualisations to help athletes learn, or re-learn, how the movement pattern feels and looks. When did inertial motion capture first get brought into your research as a tool for analysis? In the field, wearable technology is relatively new. Biomechanics research has traditionally been collected with use of optical motion capture systems in a lab-based setup with 10-15 opto-reflective cameras. However, the developments within portable mocap technology in the last couple of years has allowed us to gather reliable, accurate data in the athletes’ training or competition environment. We’ve only recently reached a point where inertial systems are accurate enough to draw conclusions from the resulting data. Xsens especially opens up new possibilities of what we're able to measure. With their MVN system, we don't have to take the athlete out of their natural performance environment anymore. This is especially valuable for sports with environmental challenges for data collection- if you look at sports like kayaking, rowing, or any on-water activities, ergometer data traditionally had to be used as on-water movements have been either too difficult or time consuming to collect and analyse. We've had the Xsens system for a couple of years now and it’s one of the key tools in our box. Has the EIS used motion capture in any particularly exciting, recent projects? A short time ago, we used our Xsens system to look at classification questions surrounding the Paralympics. Each Paralympic sport classifies athletes to make competition fair; athletes are assessed based on a range of measures, including their range of movement. That’s where Xsens came into play, providing an evidence base to help classify athletes straddling the boundary between two classifications. Typically, each assessment task is measured manually, but using motion capture, we can gather empirical data to find exactly what these values are, not just estimate from a physical movement. Plus, because Xsens can be used anywhere, the system might be brought directly to Paralympic athletes for convenience and overcome any issues regarding accessibility. What are the benefits of inertial, mobile motion capture rather than a fixed lab environment? Xsens typically takes a lot less time to set up and calibrate than other equipment, such as optical camera-based setups. When we've got a number of athletes or even injured patients, it’s important to measure the subject as quickly and efficiently as possible, within their natural environment. That makes a massive amount of difference; we don't have to cart around loads of kit and we've got an infinitely bigger capture space. In essence we have moved to calibrating the athlete as opposed to calibrating a constrained capture volumne. Whereas in the lab, space is almost always an issue. It all comes back to whether or not athletes are performing as they would in competition. If we’re assessing a sport where movement takes place over a large area, Xsens makes a huge difference to our ability to conduct research at appropriate scale. Also, If you have multiple Xsens suits, you can look at the interactions between athletes with relative ease. There are a huge number of questions around team sports that might be answered with Xsens. Can you tell us a bit about your experience with Xsens suits in terms of research and development? Lately, a lot of validation work has been published that features Xsens in some capacity. These findings greatly increase our confidence in Xsens as a toolset. It only takes a couple of minutes to put on the Xsens suit and gather data as needed, for whatever I am researching. There are a number of research projects on the horizon which Xsens will be also instrumental in. Is there a particularly memorable moment you can think of using the Xsens suits? Before we use technology with athletes, we want to be confident in our understanding of it, so as researchers, we’ve donned the suit a few times. Unfortunately, our ability to re-create an elite athlete’s movement is fairly limited, and I’ve been mocked thoroughly showing coaches my attempts at recreating kayak paddling on an ergometer. Coaches and athletes are always really impressed by the data from Xsens and the visualisation of the movement, but very unimpressed by my attempts at trying to paddle to athlete standards. It’s perfect as a visual aid, but evidently, paddling is not my forte. I’ll be sticking to biomechanics, I think.